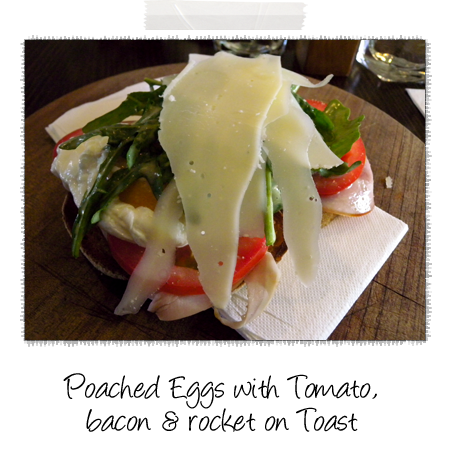 We're back at Barkers for a spot of breakfast. 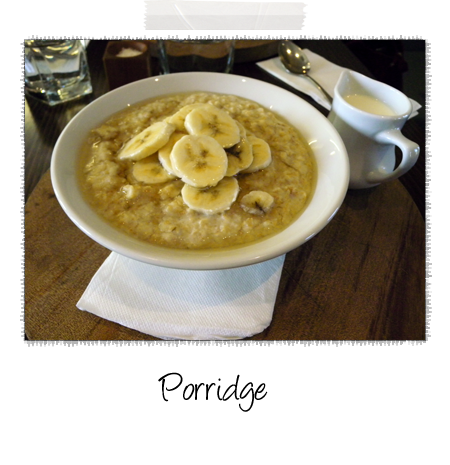 A really good hearty bowl of porridge topped with bananas and honey. I enjoyed this however my only complaint is on the dish it is served on. It really needs to be served on a plate not a board and without that serviette. What happens is that when you slice open those beautifully runny eggs, they will either soak into that serviette or into the timber - neither of which are pleasant things.